Genomics and epigenomics provide an opportunity to improve upon existing biomarkers for cardiovascular disease (CVD) risk and responsiveness to lifestyle interventions. While cardiovascular genetic risk scores have recently proven valuable, epigenetic scores based on DNA methylation may provide additional benefits by reflecting modifiable risk. A module- and region-based epigenome-wide association study for incident CVD was performed in the Women’s Health Initiative and Framingham Heart Study cohorts to identify robust biomarkers of risk while avoiding reverse causation by prevalent disease. Several correlation network modules were associated with incident CVD and were enriched for loci near immune or development-related genes, with one showing strong associations with past exposures to cardiovascular risk factors. This work was expanded to produce direct predictors of CVD risk based on penalized regression models. A cross-study learning (CSL) approach was used to combine predictions from several single cohorts, resulting in an ensemble model that has predictive power in the presence of traditional CVD risk factors. This methylation-based risk score (MRS) was further examined for potential interactions with alternative risk metrics, including the Framingham Risk Score and a genome-wide genetic risk score, revealing the potentially improved performance of the MRS in individuals with lower risk based on standard metrics. Finally, preliminary investigations into genome-wide genetic and epigenetic interactions with diet for cardiovascular risk factors were undertaken, with pending results to evaluate the predictive performance of an interaction-based genomic risk score for response to a dietary intervention in the Women’s Health Initiative Dietary Modification Trial. Kenny Westerman is a doctoral candidate in the Biochemical and Molecular Nutrition program at Tufts University. His thesis work with José Ordovás focuses on the interaction of epigenetics and diet for the prediction of cardiovascular disease risk and the optimization of its risk factors. He has pursued additional projects within the university to expand the scope of his work, including collaborations with the Vitamin K laboratory to investigate personalized responses to supplementation and with the Tufts Clinical and Translational Science Institute to guide the development of a machine learning-focused analytics platform for biologists. He has been active in the Tufts community, helping to vet research for the annual Student Research Conference and organizing an event series featuring TED-like talks in the field of food and nutrition. 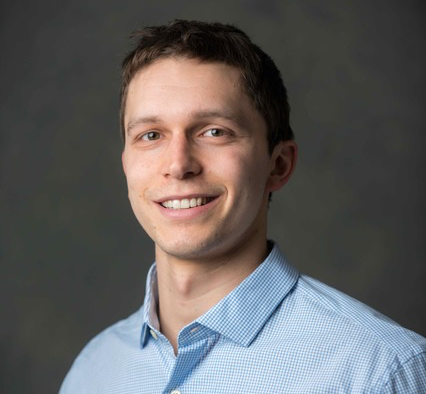 Moving forward, Kenny's broader research interest is in using computational genomic, epigenomic, and cheminformatic approaches for the prediction of cardiometabolic risk and the characterization of personalized responses to dietary inputs.